With special guest David Shifrin! Tickets are $20 at the door, $15 online- get yours now! $10 student tickets also available at the door with valid student ID. Presented by the Baryshnikov Arts Center. with special guest Ani Kavafian! Tickets are $20 or pay what you can. 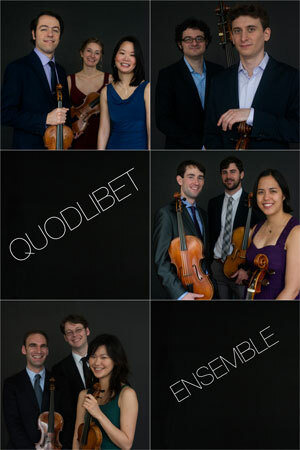 Quodlibet Ensemble and Metropolis Ensemble jointly present Salon Series – a night of music, wine, and a chance to be up close and personal with our musicians! Featuring works by Biber, Mozart, Arensky, and more!